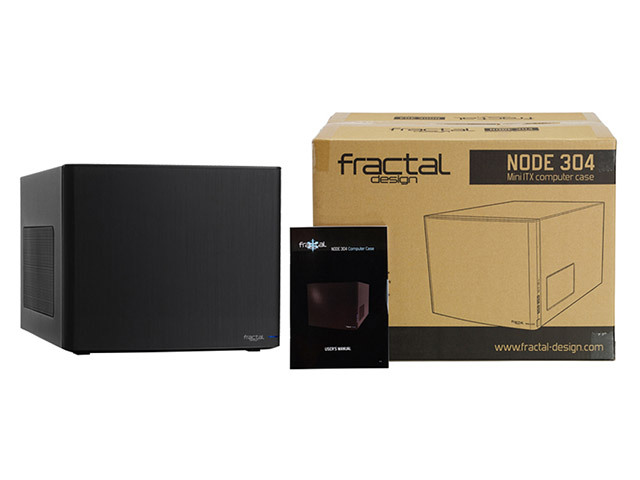 The Node 304 has room for up to 6 hard drives, can take full size ATX PSUs and fit long graphic cards. 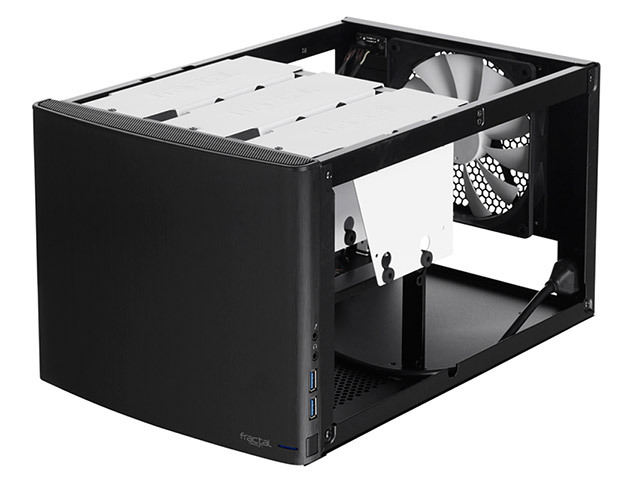 The chassis features is equipped with three hydraulic bearing fans, easy-to-clean air filters in all intakes, two front USB 3.0 ports and a stunning and functional Scandinavian design. 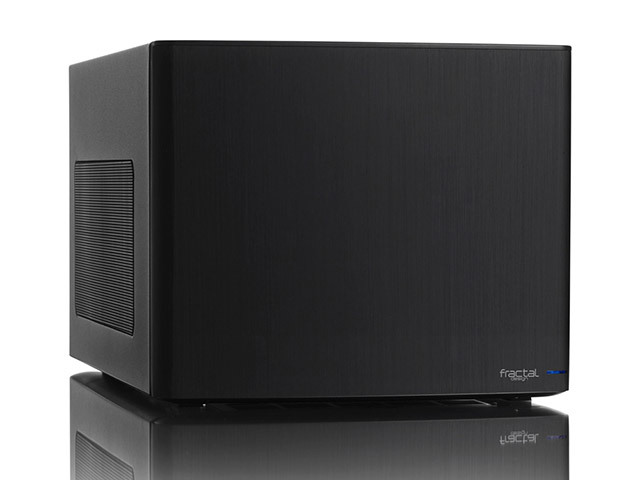 The Node 304 can be used as the basis for a cool-running file server, a stylish and quiet home theatre PC or a powerful gaming system. 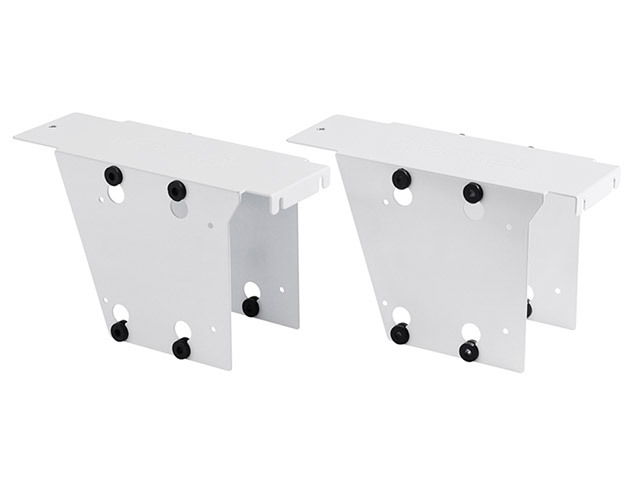 Bays: Supports up to 6 drives: 3x Hard Drive Mounting Brackets can each support 2x 3.5in HDD or 2.5in HDD/SSD. Cooling: 3x Silent Series R2 hydraulic bearing fans included (2x 92mm up to 1300 RPM in front panel, 1x 140mm up to 1000 RPM in rear of case). Integrated 3 position fan controller. Front Fan Filter. PSU Air Intake Filter (underneath chassis). GPU Air Intake Filter. 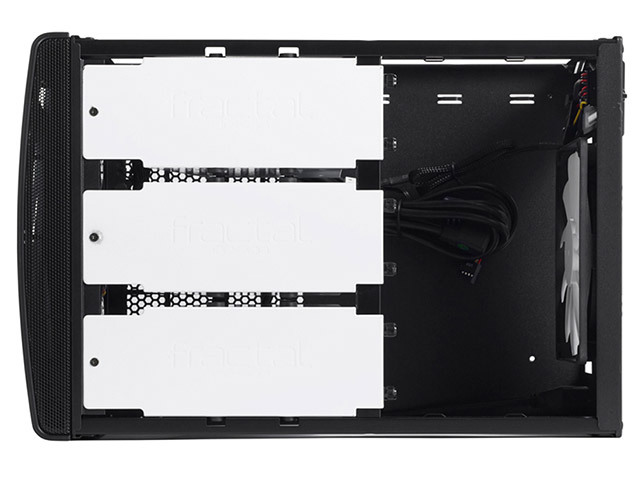 Front Panel: Aluminium front panel with Blue Power/HDD LED. Side of Front Panel: 2x 3.5mm Audio (Mic and Headphone); 2x USB 3.0 (Internal 3.0 to 2.0 adapter included); Power Button. 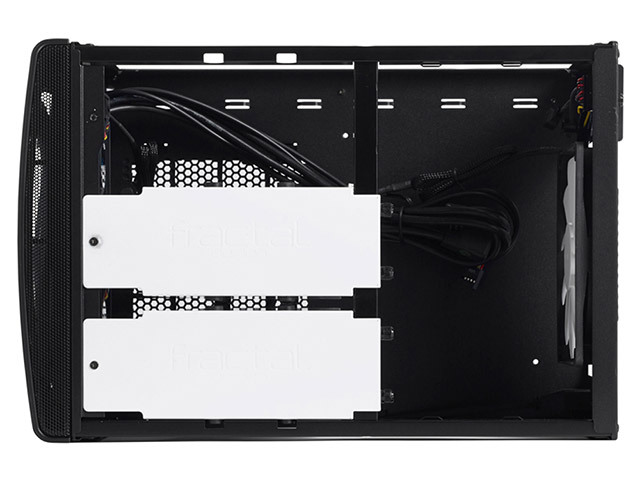 Rear Panel: 3 way Fan Controller Switch, C14 Power Cable Socket (connects to ATX PSU with internal extension cable). 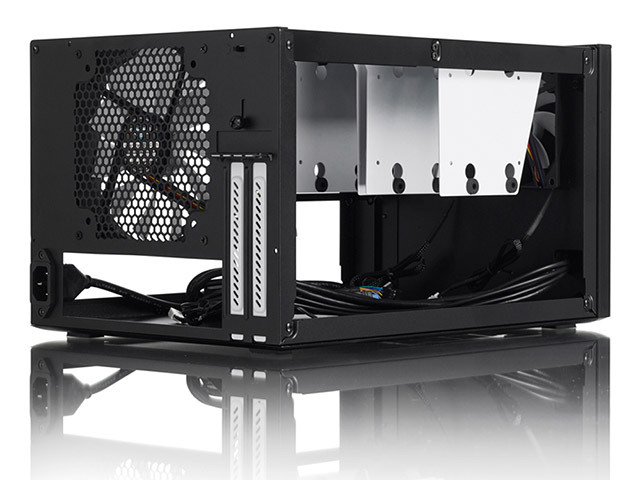 Power Supply not included: Requires an ATX PSU, up to 160mm in length (To fit in combination with a long graphics card, PSUs with modular connectors on the back typically need to be shorter than 160mm). 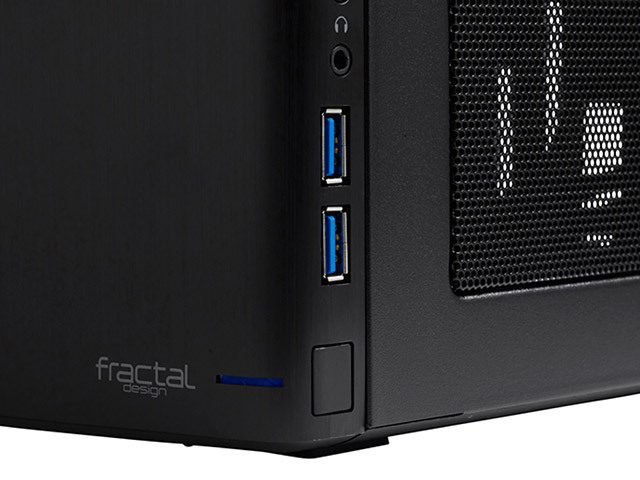 The Fractal Design Integra M ATX PSUs we stock are ideally suited at 140mm in length. 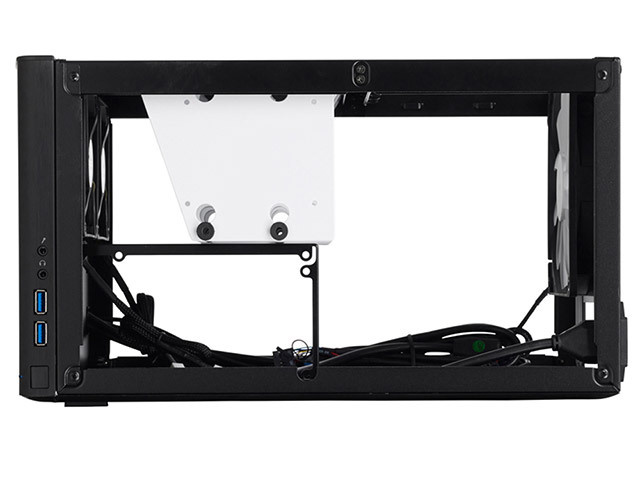 Graphics Card support: Graphics cards, up to 310mm in length, when 1 Hard Drive Mounting Bracket is removed. 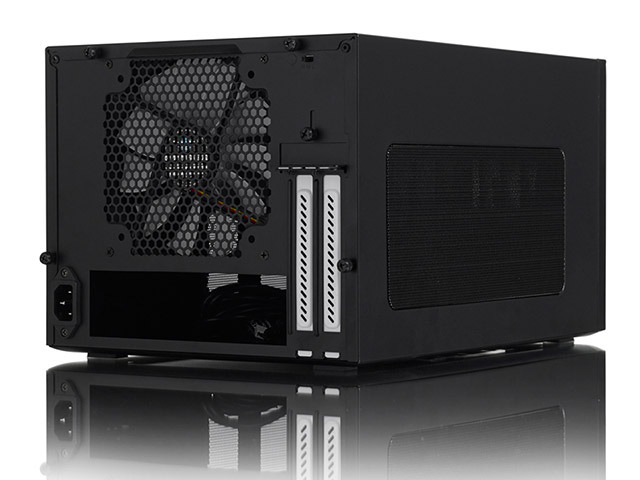 Graphics cards longer than 170 mm will conflict with PSUs longer than 160mm. Please check your graphics card and power supply connectors as an adapter cable may be required. Supported boards: Not recommended: Gigabyte GA-H170N-WIFI and GA-Z170N-WIFI. Both these boards have a sideways mounting SATA position close to the power supply position which can cause problems with SATA cabling. 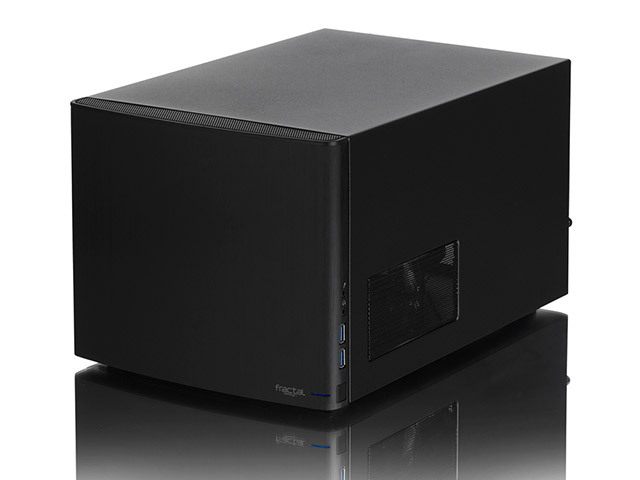 All other Mini-ITX boards (Embedded and Socket) will fit in this chassis. 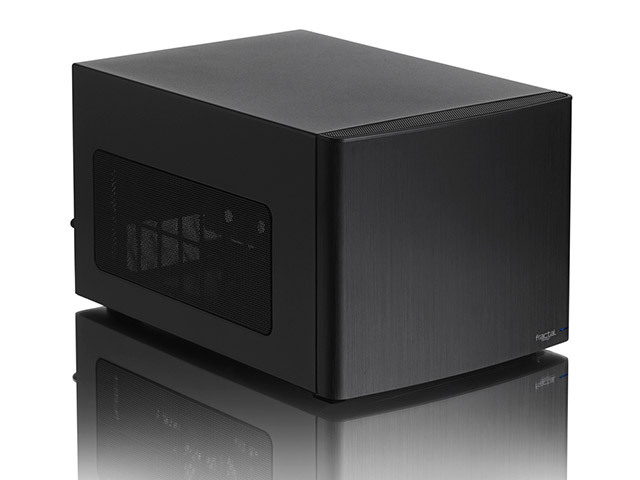 Tower CPU coolers up to 165 mm tall supported.